The second book in my series, Sand and Sutures, is currently in the hands of my editor. I chose the title Sand and Sutures for several reasons. First, my main characters are doctors who work in hospitals and medical facilities daily and deal with sutures in one form or another on a regular basis. Secondly, they live around water. The shores of Lake Washington and the beaches of Santa Monica provide respite from their demanding schedules. When they aren’t being doctors, they enjoy water skiing, surfing, and vacationing in places like Bermuda, Mexico, and Hawaii. The two words, sand and sutures, joined together creating a link between the professional lives of these physicians and their personal escape from the world of medicine. Sand and Sutures follows Randy and his friends into their residency, where they continue their medical training and work to establish their reputations as physicians. In this book, many of the same characters are back, including Jim, Bruce, and Amanda. A few new characters are introduced, one of which is a resident doctor by the name of named Greg Hutchins. Throughout Sand and Sutures, Randy struggles to find balance between his career as a physician and life with his new wife, Jane. In the process, he encounters unexpected hurdles and deals with difficult family situations, all while trying to maintain close ties with his dearest friends, Jim, Bruce, and Amanda. As the four friends continue their medical training, they celebrate successes together and help each other navigate through some of the most challenging obstacles in life. For a preview of Sand and Sutures click here. Sand and Sutures is set for release in April 2016. As an author participating in the 2016 Brain to Books Cyber Convention, I was asked to post answers to these interview questions. So…I’m going to expose a bit of myself here and do my best to answer them. 1. Describe your favorite scene in your your book and tell us why it’s your favorite. My favorite scenes in Scrubs involve the interactions between Randy and his best friend, Jim Ryan. Their relationship was fun to write and their friendship is inspiring. They have unconditional love and support for one another. They stand together through the worst times and celebrate each other’s successes. They joke around, as friends do, yet can have a serious discussion all in the same breath. I love their conversations. 2. Which of your characters, do you relate to the most (or) who is your favorite character and why? The character in Scrubs I relate to the most is Jane. She went through some hardships in her life, but with a little love and encouragement, eventually found her strength and overcame those obstacles. She’s a sensitive, emotional woman who is strong when she needs to be. My favorite character is Jim. He’s a fun-loving surfer wannabe medical student who has a snarky disposition, a sharp tongue, and is an all around laidback guy. He speaks in surfer slang, which took quite a bit of research for me to create, but in the end, he’s a fun character. 3. “Story” has always been the center of all human cultures. We need it. We seek it out. When we lack it, we invent it. What does “story” mean to you? Story means expressing thoughts and imaginings people can relate to. Story is showing emotion and displaying the human side of characters. Story is allowing your imagination to run wild and creating characters and scenarios that you not only enjoy writing about but that readers will also enjoy reading. 4. What story has recently inspired/moved you? I’ve had several stories/ books over the years that have inspired me. Back in Junior High, I enjoyed The Outsiders by S.E. Hinton. To this day it has stuck with me because the characters were easy to relate to. They were “real” people encountering “real” situations and I found myself rooting for them. I recently reread this book, and it still moved me. Several years ago I read Fear Nothing by Dean Koontz. This is one of my favorite books Although the chain of events in the story are pretty unlikely to happen, the author made them feel real. I was able to follow the characters throughout and experience emotions right along with them. The most recent book that moved me was The Notebook by Nicholas Sparks. I think each of us has gone through some sort of emotional confusion both characters experienced in this book. I felt the heartache and joy they felt. This was a moving love story that touched my heart. Star Wars. I saw the first movie when it first came out in theatres. The characters tell the story and the story evolves with the characters. I’ve followed the series over the years, and recently watched the latest movie. I still love it, and will always be a Star Wars fan. 5. Characters begin with their strengths and weaknesses. Many authors reflect their own strengths and weaknesses in their characters. What are some strengths and weaknesses that you relate to, and how have these traits influenced your characters? I’m an emotional person. I’m also an introvert who is highly driven and sets high standards for myself and others. In fact, I’ve been told I’m too hard on myself. I don’t like drama, try to avoid conflict, and don’t dwell on the past or let hardships drag me down. I relate to characters who have struggles, but at the same time aren’t afraid to admit their fears. They take action to overcome their problems and are motivated, driven, and don’t give up easily. Just as people in real life learn and grow through interactions and relationships they have with other people, the characters in my stories learn and grow, either outwardly or internally, because of personal encounters with other characters. When I write, I create my characters first. I get into their heads, think how they think, and envision the world through their eyes. A bit of me is in each of my characters. Randy, for instance, doesn’t like conflict and is a highly driven, goal oriented guy. Although he does encounter struggles, he doesn’t dwell on them. He pushes through or works around the problem and tries to find a solution. Unlike me, he’s social, but tends to keep his emotions hidden from others around him. He only shares his deepest thoughts with people he’s closest to, which makes him hard to read sometimes. Although Jane is emotional like me, much of her personality is the complete opposite of mine. She’s a social butterfly and openly speaks her mind. Jim is sarcastic and enjoys life to its fullest. Bruce processes things internally and won’t let life’s circumstances stand in his way. Mandy has random tendencies, much like me, and Sarah is quiet and shy. My characters tell their own story, and the story evolves through them. They build on their strengths and learn from their weakness. 5. What did story mean to you as a child? Character. Imagination. Creativity. Adventure. From childhood, I loved to read and write stories about imaginary places, people, and things. I created stories in my head and on paper and even acted out adventures with these characters I created. Whether watching movies, reading books, listening to music, or writing, I’ve always had a story in my head. 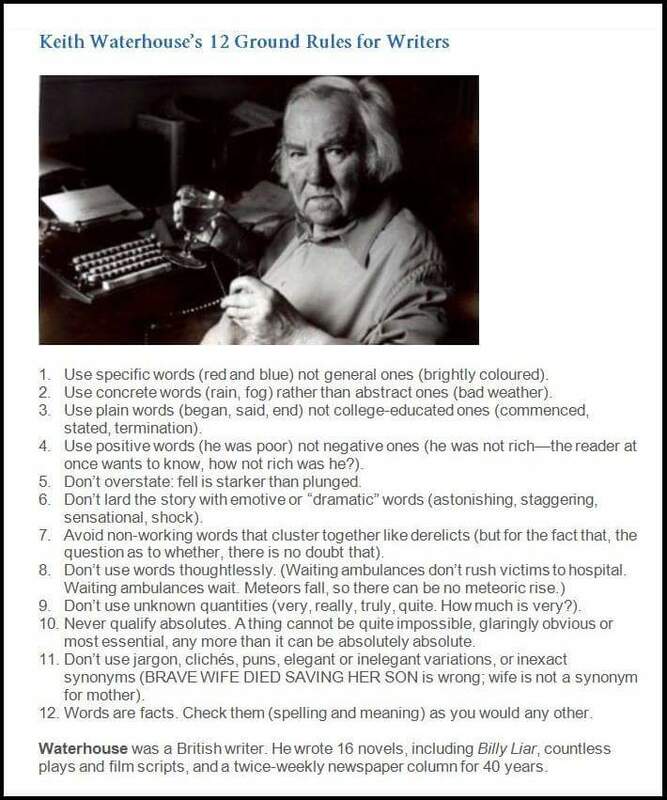 Some useful tips for writers.